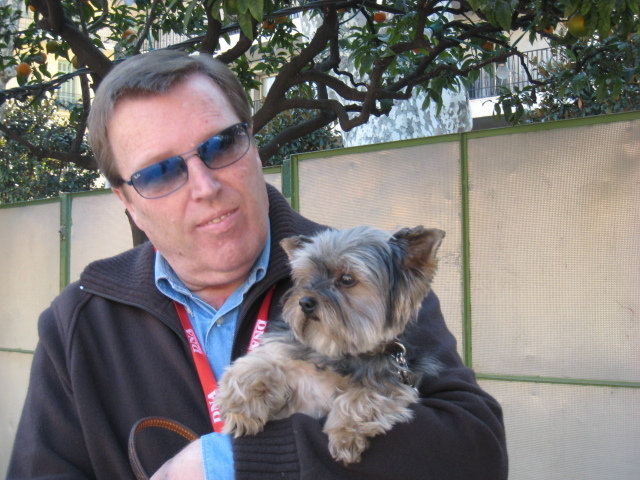 This couple live in Nice and had brought their two little Yorkies to Menton for the Fête du Citron. I love the colour of the husband's dog. 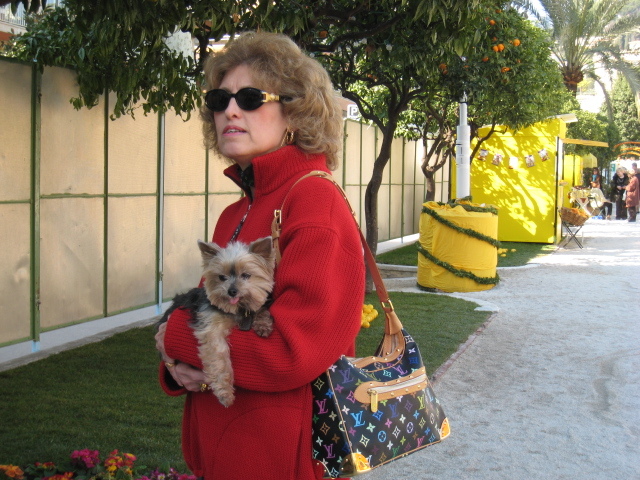 Another man had his older Yorkie there and the three were chatting Yorkie-chat. A sign at the entrance clearly said No Dogs but perhaps if a dog is carried, it's OK. Rules are made to be broken... Click here if you would like to read more about the Fête du Citron.